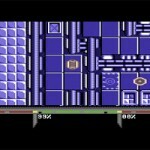 Citadel 2 is a rather old project that came to light during the making of "Berzerk Redux" recently, Martin Piper’s C64 conversion of the arcade game. 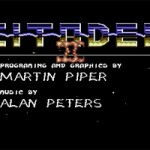 When Martin needed some music to add to the game, he found a piece written by Alan Peters back in 1992 for the unfinished Citadel II. We approached Martin and asked if there was anything left of the project. Martin spoke about the game and said about the music, "The music was originally composed by Alan (back in 1992) for a top down scrolling city type of game (a lot like Citadel ) we were working on, the working title was actually "Citadel II" *ahem*. So the music was composed to fit with the rushing around corridors with robots chasing you, so I thought it would fit this game too." Martin looked through his work disks and found an early demo of Citadel II. Martin’s comment is "It is definitely a technical proof of concept demo and only contains placeholder graphics, sound and rough game play." It is definitely very similar to Citadel in style, with teleporters moving between sides/areas of a maze and door barriers (which can be shot to get through, closing shortly afterwards). Overall this was a game being done mostly for fun it seems, with no commercial gain. But check out the preview for yourself and see what could have been. Very early, but very promising! I’ve transferred most of my old work disks from late 80’s to early 90’s. Some of them have sensible names where I’ve been able to discover their contents, other disk images are unknown. A lot of these disks contain unfinished routines, ideas, demos, hacks, rips and all sorts of (good and bad!) stuff from my early teenage days in all its (sometimes) ugly glory. Somewhere in all of this there are the Citadel 2 source files with level editors, Tusari sources plus editors, 3D objects, racing game sources plus editors (like turbo charge), multiplexors, tape loaders etc. That is superb, thanks Martin! Are you happy for me to maybe add a page on the site to host your works as well?